I was asked from the researcher who are working in pharmaceutical company. The question is how to treat glucose part of chemicals. I explained it with hesperidin. how can he calculate HSP of this molecule? Does it possible to predict solubility of water- ethanol solvent? 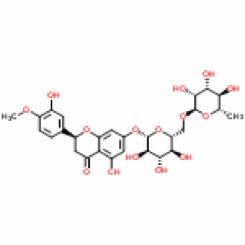 This compound's CAS number is 15512-51-3 and you can easily get SMILES structure if you visit ChemSpider HP. 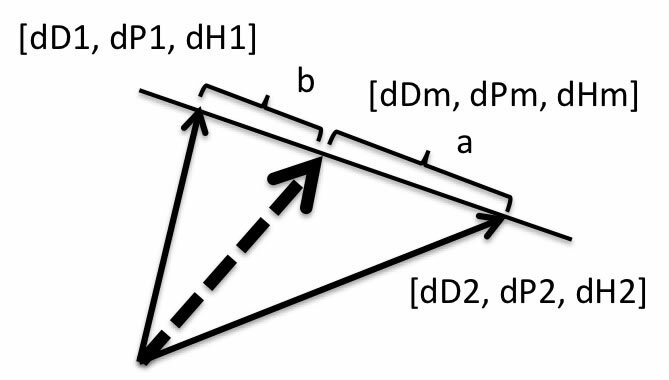 Only you have to do is paste this Smiles structure into Y-MB text field and push calculation button. Y-MB automatically break molecule into FGs(functional groups) and estimate HSP. The result become [19.1, 11.8, 25.6]. (The figure below is developer version. 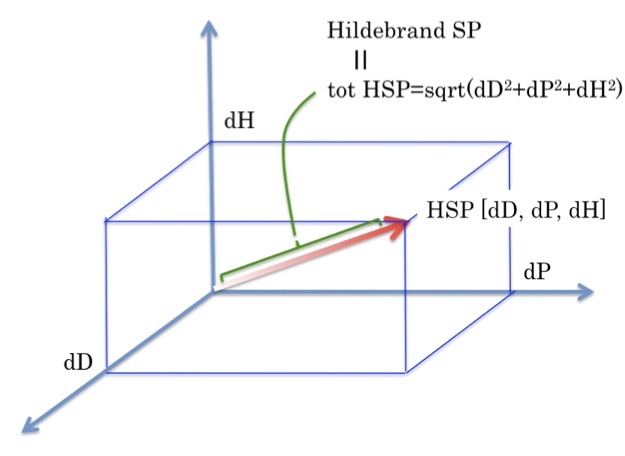 It also calculate dHdo (Donor) dHac (Acceptor)) Once we get the HSP of molecule, then calculate HSP distance from solvent, we can get solubility. 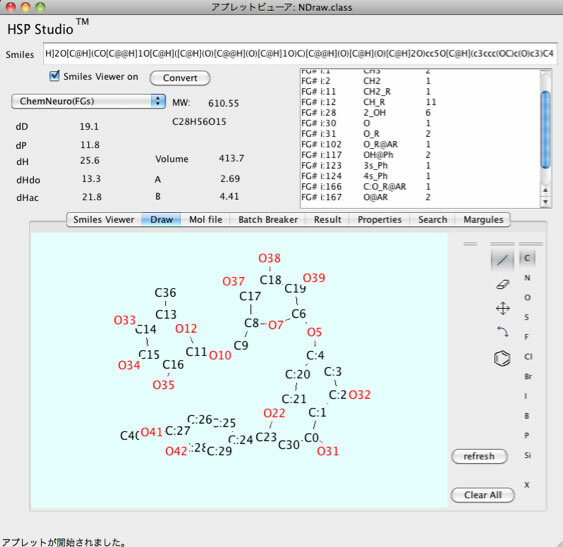 Pirika Java demo applet design solvents mixture. GSD is available here. I already explained how to calculate HSP of solvent mixture. It is the just adding Vectors. EtOH [15.8, 8.8, 19.4] water[15.5, 16, 42.3] and the Hesperidine [19.1. 11.8, 25.6], you can easily find the best match solvent mixture with below chart. 70% Ethanol - 30% water become [15.71, 10.96, 26.27]. If you want to determine HSP of Hesperidine with experiment, you need to measure solubility at certain fraction of solvent mixture. 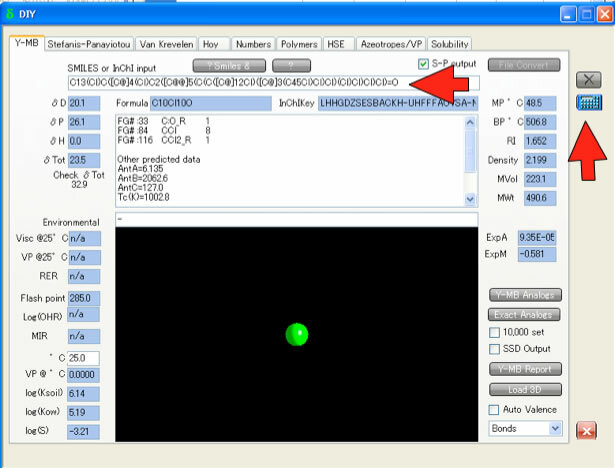 And analyze with new Sphere program. 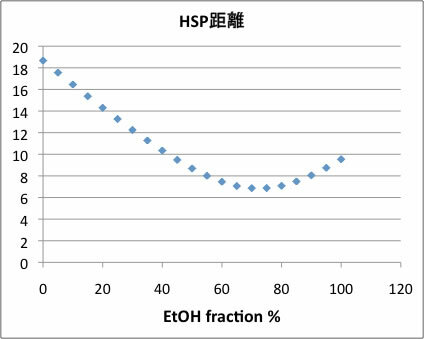 I recommend to calculate partial HSP for large molecule. 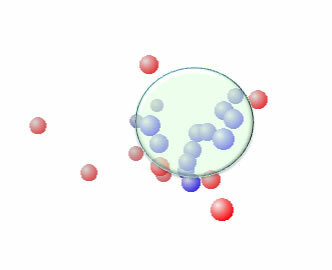 I named it Region Map method (I am now developing automatic molecular division for large molecule). 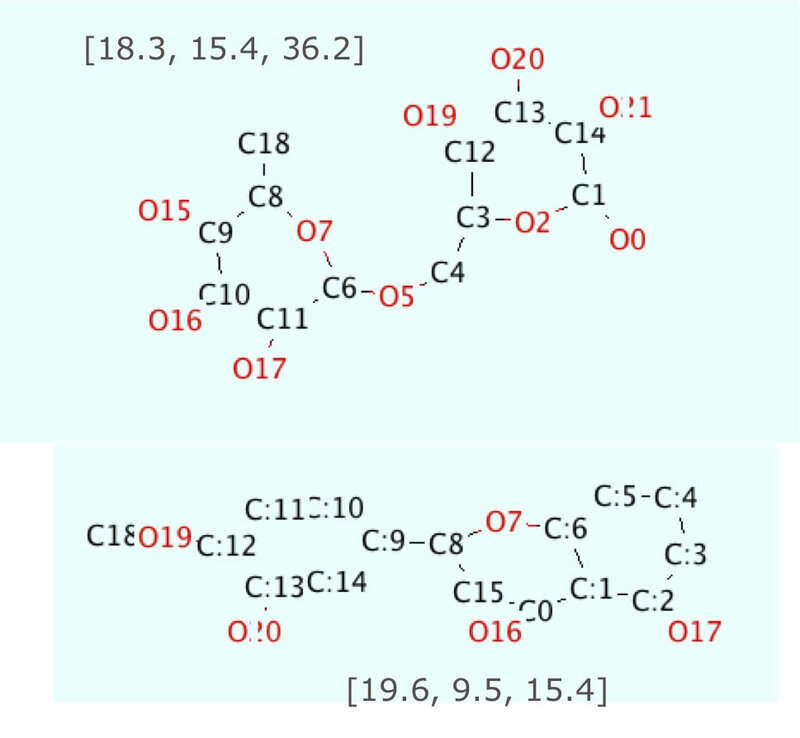 With this method, HSP of glucose part become [18.3, 15.4, 36.2] and this is almost same with water[15.5, 16, 42.3]. And HSP of remain part is [19.6, 9.5, 15.4] is almost same with EtOH [15.8, 8.8, 19.4]. So I expect the solubility of Hesperidine to water-Ethanol is very good for any ratio. It is said that many of the medicine which have glucose, will hydrolysis in stomach. So real medicine part of HSP is very important, I think.